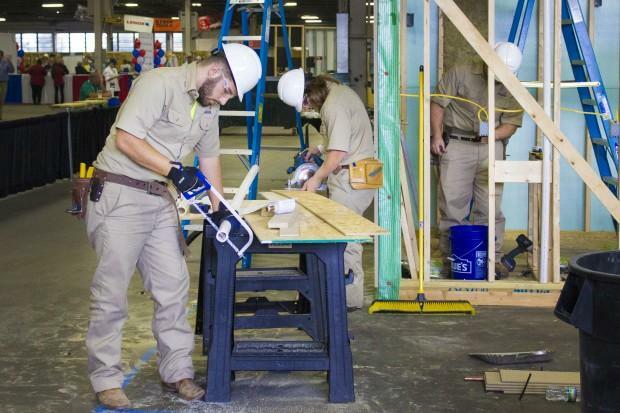 Indiana has seen a big push for closer ties between workforce development and education, especially this year. State lawmakers passed several bills focused on college and career-readiness during the legislative session, and late last year, the State Board of Education approved new graduation pathways that emphasize work-experience for students. Now, the new plan from President Trump aims for a similar alignment at the federal level. He wants to merge two federal agencies into one, called the Department of Education and the Workforce. Indiana University education policy professor Chris Lubienski says it’s part of a major change in how people view the role of public education, moving away from some of the original goals. “Going back to the 1830s, the idea of public education was not simply about training workers. It was more about, you know, teaching people the skills they need to participate in a democracy,” he says. Businesses are key players behind those efforts. Lubienski says a core motivation for companies is likely to save money on training, and find more skilled workers, faster. “This has been a long term effort and the business community has traditionally pushed more for that. They argue that if we’re going to pay for public schools that they want that kind of return,” he says. Some public education advocates say public education is not meant to create workers in corporate interests. Many continue to worry about schools being inundated with changes in policy and funding sources. 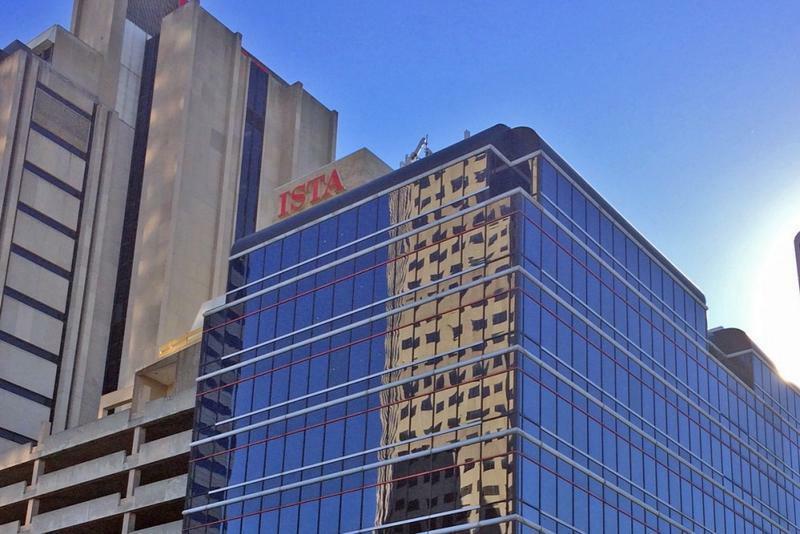 Indiana State Teachers Association President Teresa Meredith says she was disappointed upon learning of the proposal, but not surprised. She says policies should focus on what’s best for kids, not necessarily businesses, and that schools are a place for students to learn how to navigate the world, not just earn skills for a job that may not exist in 10 or 20 years. But the combination of the two federal agencies isn’t guaranteed; the merger needs congressional approval. And, Lubienski says he thinks the political odds are stacked against Trump’s plan. Meanwhile, Indiana officials will continue to work on implementing several workforce-focused education policies over the next few years, including the new graduation pathways, and a handful of laws approved earlier this year during the legislative session. 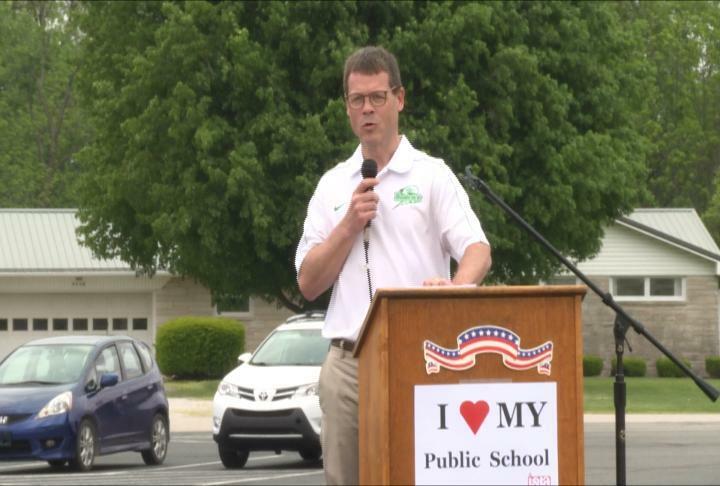 Educators in Farmersburg, Indiana, held a rally Saturday, urging lawmakers to give more attention to rural public schools, specifically when it comes to funding. School money follows the student in Indiana, and the Northeast Sullivan School Corporation has lost a big chunk of per-pupil funding in the past eight years – around $4 million – largely due to students leaving the district for better funded schools with more resources available. The district already closed some schools, and others could follow. Activism among students and teachers has skyrocketed in recent weeks with strikes and walkouts across the country, and so far Indiana educators don’t have plans to join a growing number of movements in several states. But Indiana State Teachers Association President Teresa Meredith says the widespread demonstrations are getting people’s attention. “Most of the calls though are about 'what are we going to do, and when are we going to do it,' and so when I ask them why they’re asking the question, the responses vary,” she says.